The evolution of the enterprise data center is happening now, and it’s being led by the principals and advancements of hyperconverged solutions. In the era of public and private cloud based architectures, organizations are looking to implement the operational efficiencies, availability, and recoverability capabilities of public clouds into their private cloud infrastructures. Unfortunately, for years enterprise organizations have struggled with architectures and products that are based on expensive and antiquated capabilities to provide agility, availability, and protection for their business. With the current state of the world’s digital transformation, “Data is the new Oil” it’s imperative for organizations to treat the utilization and management of their data and information as such. The demands for modern, efficient, cost effective data center solutions that are based on modern architectures suited to provide the infrastructures support to host critical lines of business application. Infrastructure availability and recoverability are of the up most importance for any business. From a virtualization perspective, the architecture of VMware’s Software-Defined Data Center is design for high availability and recoverability for pillars of its foundation. 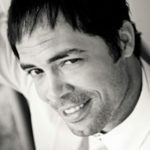 High availability can be designed and implemented in many different ways and with different solutions and technologies. Recoverability is discipline in the data center that is much tougher to achieve. Recoverability is driven by infrastructure and information accessibility that are defined based on business service level and requirements. Today, recoverability faces many challenges partly due to the management of a vast number of point solutions that were built and designed based on older architectures and technologies from about a decade ago. These challenges apply to all physical, virtual, and application based infrastructures. Recoverability is one of the many major challenges organizations are facing with their cloud infrastructures. Failures are a given event in any modern cloud infrastructure, and lengthy outages are conditions that most modern enterprises cannot tolerate in today’s economy. For years organizations have been struggling except for the vSphere hypervisor, all the VMware Cloud Foundation components run as virtual appliances. VMware Cloud Foundation (VCF) delivers the VMware enterprise cloud in a natively integrated stack for both private and public clouds. 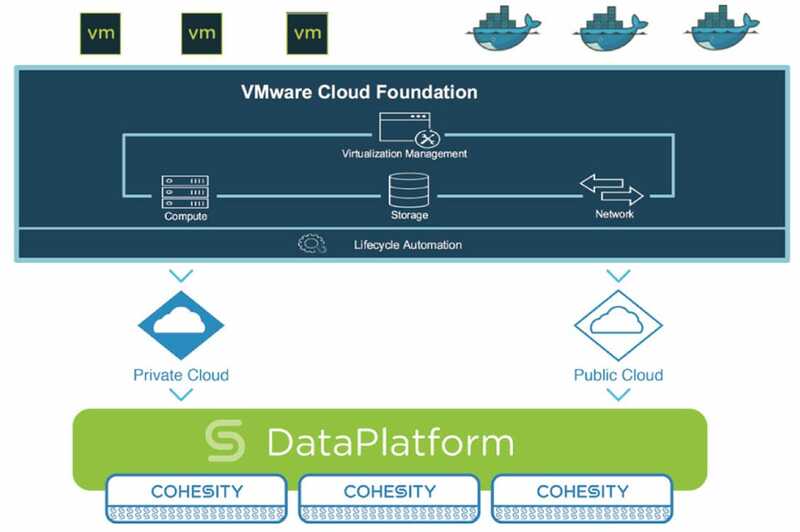 The joint VMware and Cohesity solution extends VMware Cloud Foundation with the Cohesity Hyperconverged Secondary Storage platform. The solution delivers simple data protection, instant recovery, and a multi-cloud data fabric to complement VCF. With VMware Cloud Foundation, an organization can successfully begin their journey and move into the modern era of the data center and consume and manage business critical applications that reside on-premise as well as off-premise. Of protecting and recover the components provide the infrastructure services for the VMware SDDC at the speeds the business demand. Cohesity’s converged data protection solution and recovers VCF along with management infrastructure services in a very fast, simple, and risk adverse matter. Cohesity provides modern solutions capable of satisfying the protection and recovery requirements for the VCF management stack as well as applications. Cohesity itself can run either as a VM in the SDDC or as a physical appliance. With VMware Cloud Foundation and Cohesity’s recoverability capabilities, organizations can effectively address the challenges of their infrastructure and information accessibility and recoverability. For future updates about Cohesity, Hyperconverged Secondary Storage, Cloud Computing, Networking, VMware vSAN, vSphere Virtual Volumes (VVol), vSphere Integrated OpenStack (VIO), and Cloud-Native Applications (CNA), and anything in our wonderful world of technology be sure to follow me on Twitter: @PunchingClouds.